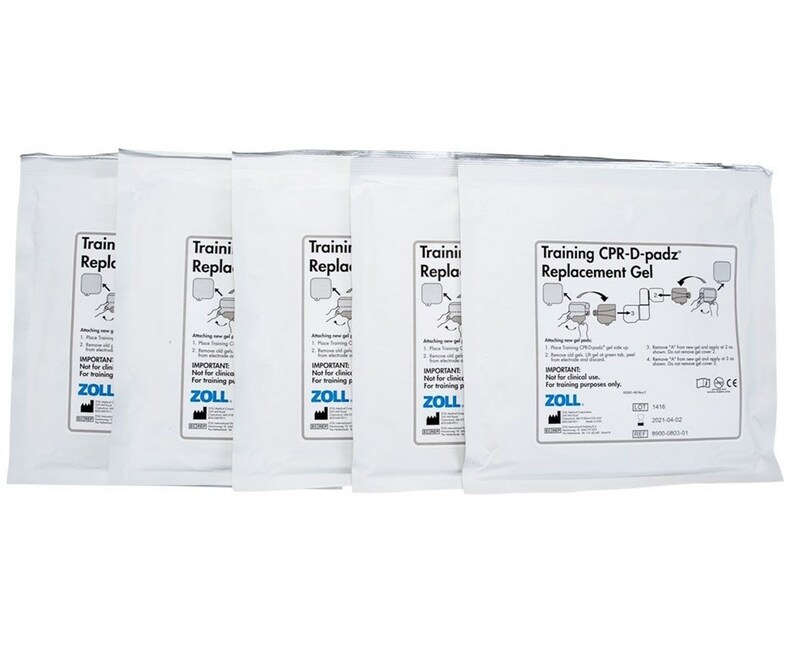 Zoll Medical produces a full line of high-quality defibrillation products to ensure fast, effective treatment of sudden cardiac arrest (SCA) for higher survival rates. Their revolutionary electrodes, CPR-D-padz® (sold separately), combine the typical (and confusing) two-electrode system in one pre-connected simple entity. The CPR-D-padz® training electrodes (sold separately) look and feel like real CPR-D-padz® but do not deliver a shock, making them ideal for instructional and training purposes. They are compatible with the AED Plus® Trainer2 and provide all of the same innovative features as the live pads - except the shock itself. Due to the nature of the electrodes' usage, the adhesive gels can wear down quickly and need to be replaced frequently. 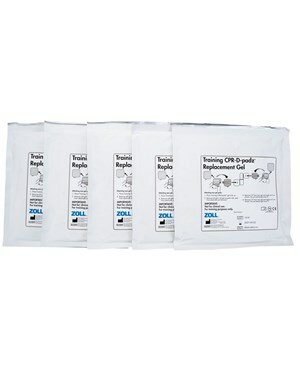 Every order includes five pairs of CPR-D-padz® training electrodes replacement adhesive gels.